and installation of the snorkel device. U 1 is one of the British U type submarines, U 2 and U 3 are British V type subs. 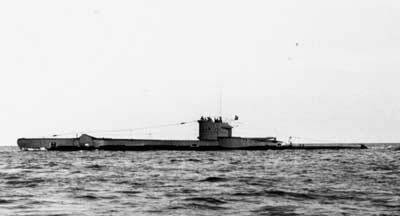 The 3 subs were leased from the Royal Navy in 1946 for a period of 3 years. 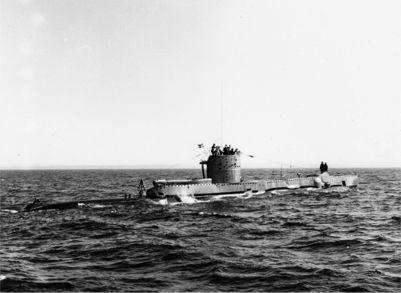 The lease was prolonged several times until the first delivery of Danish newly built subs (the DELFINEN Class) took place. 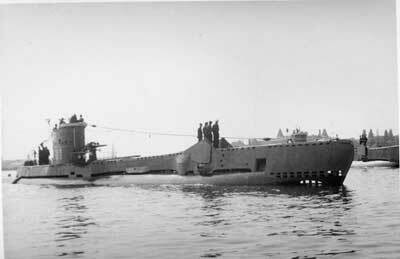 U 2 (STØREN) shown here after removal of the deck gun in 1953. 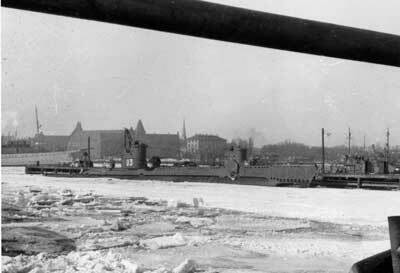 The sub U 1 (SPRINGEREN) is seen here before 1951, behind you could get a glimpse of one of the other U Class subs. U 3 (SÆLEN) in icy conditions at Holmen.